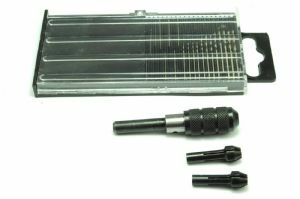 Drill set comes in a plastic indexed box with a sliding window. 0 - 0.75mm (0 - 1/32 inch). 0.75 - 1.5mm (1/32 - 1/16 inch). 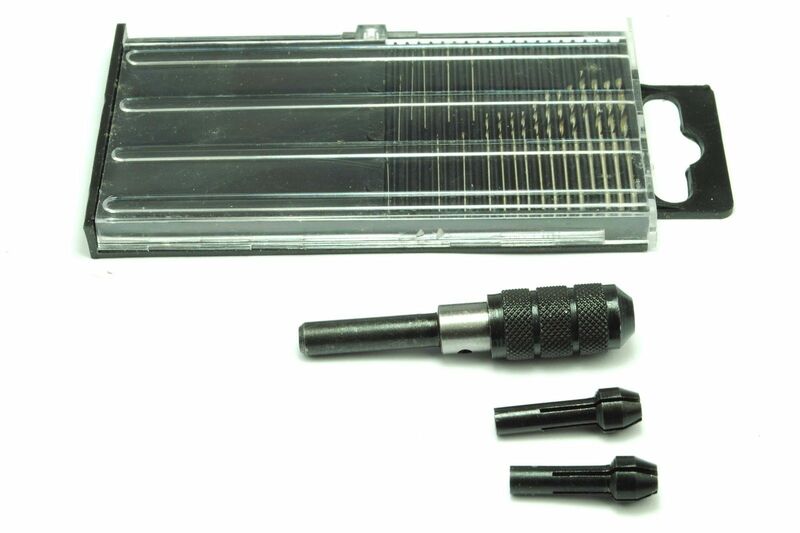 1.5 - 2.5mm (1/16 - 3/32 inch). Shank size: 6.5mm or 1/4 inch.